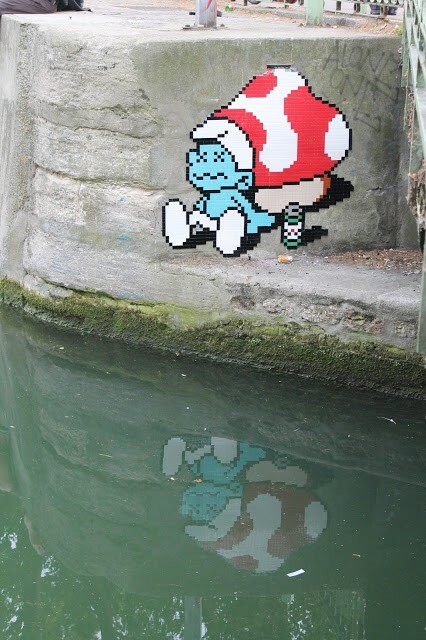 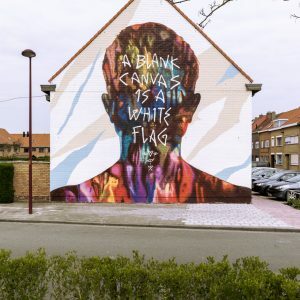 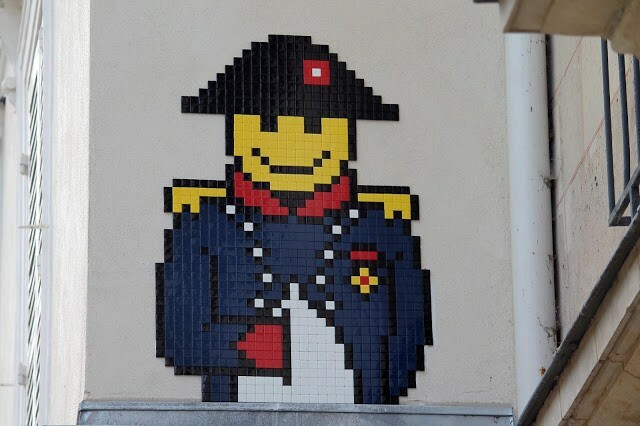 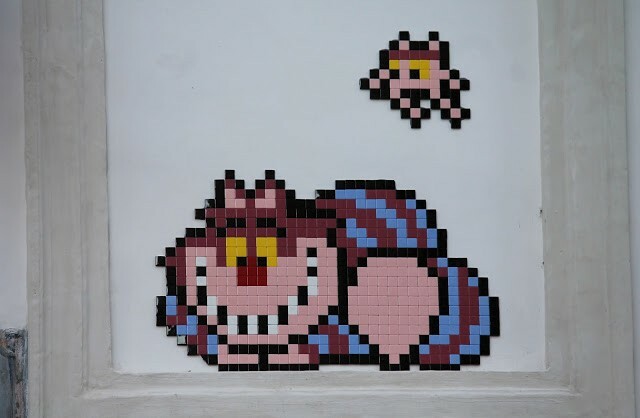 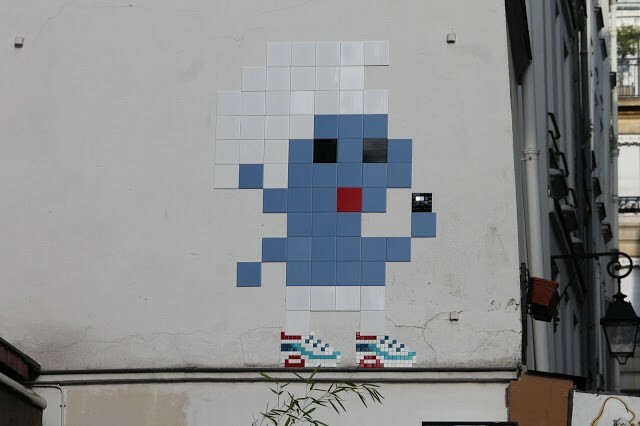 Invader is back on the streets of Ravenna in Italy where he just finished working on his second wave of invasions in this lovely city.The elusive French street artist brought to life some brilliant pixelated pieces which were created using colored tiles. 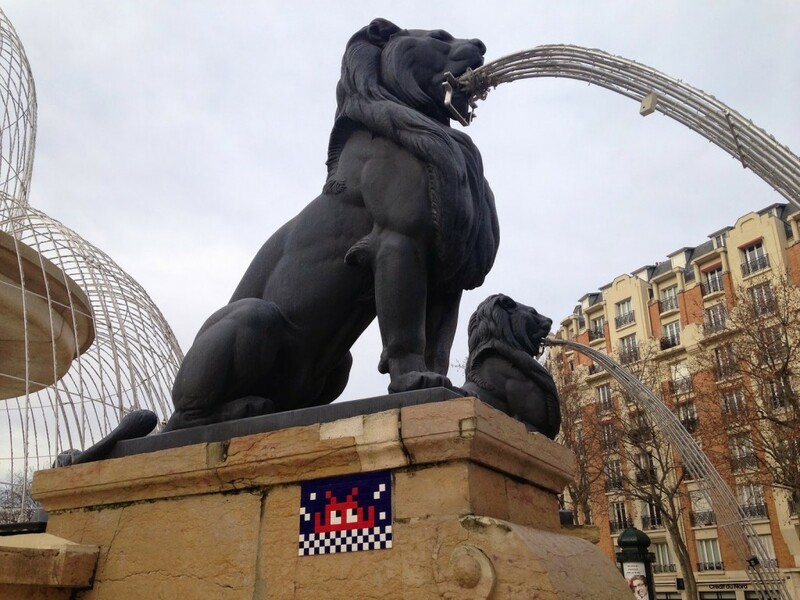 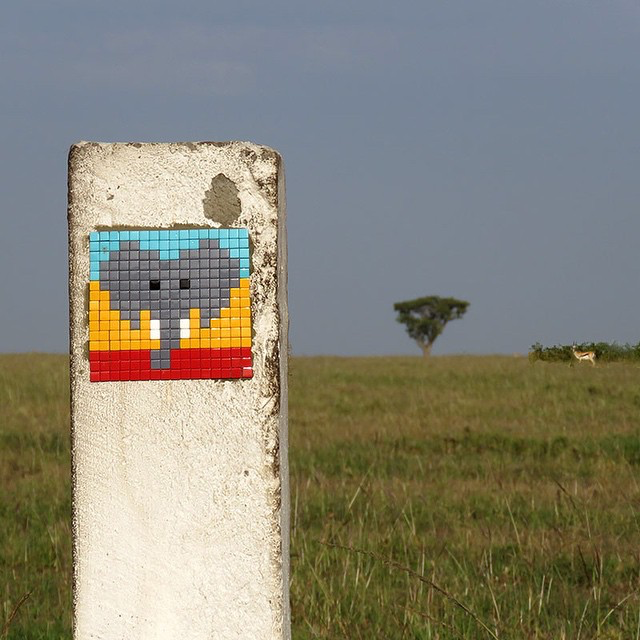 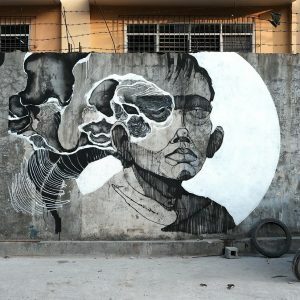 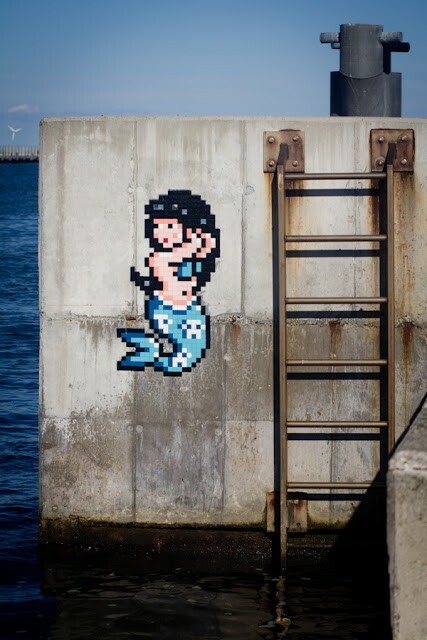 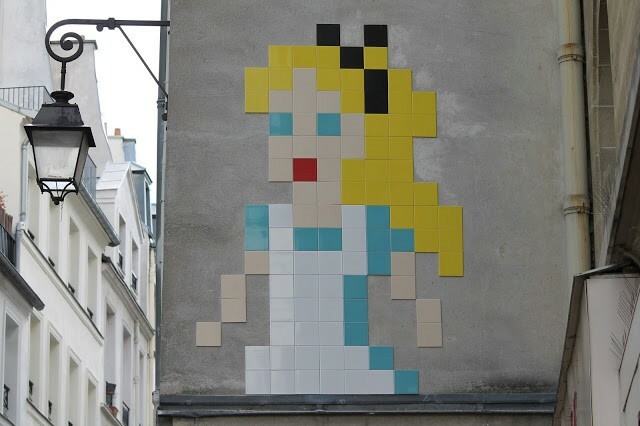 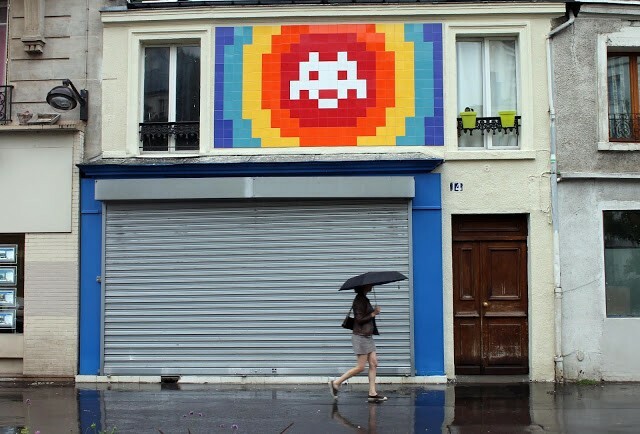 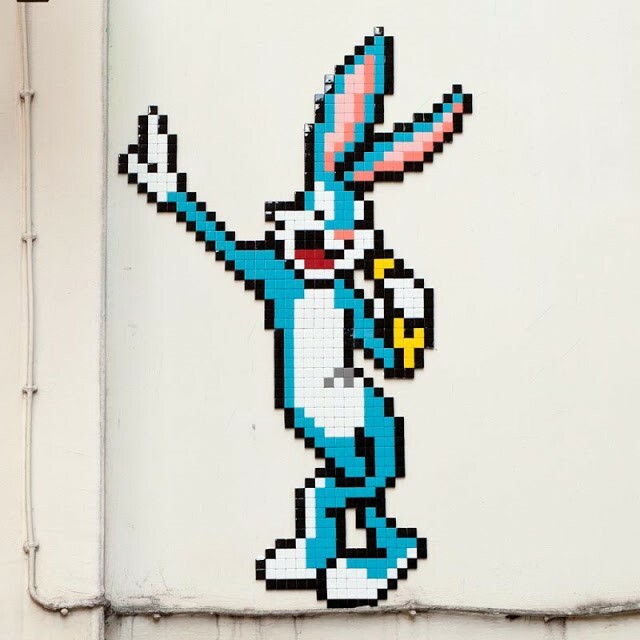 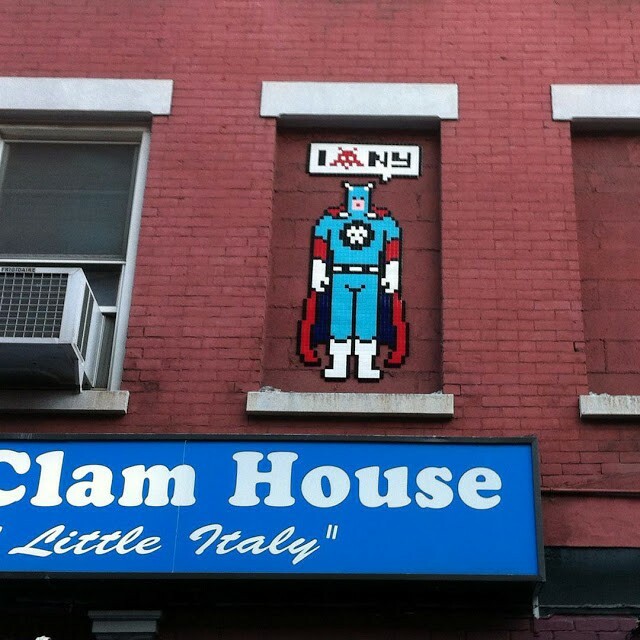 Invader affixes mosaic images of characters from video game in cities around the world. 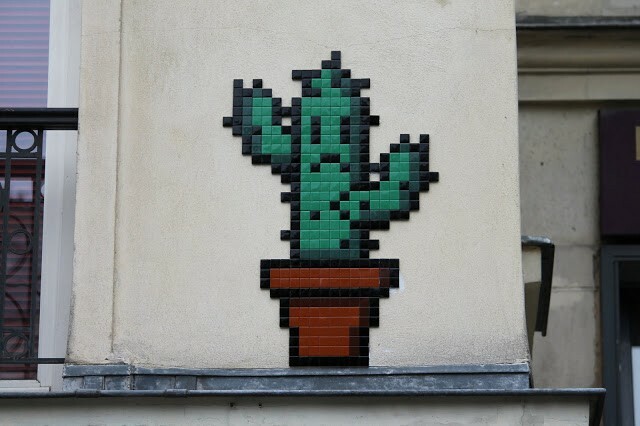 The unstoppable Invader is spending his summer in Paris where he brought to life several new pieces all over the city.Rocking through the city of lights with a bunch of tiles, a ladder and cement, the anonymous French artist has now invaded over 1156 spots in Paris and he shows no sign of slowing down! 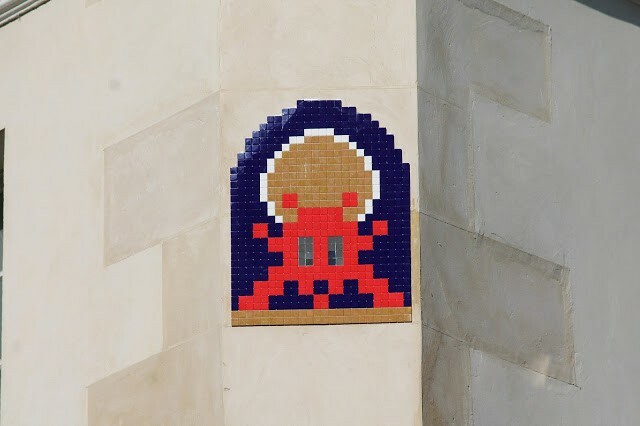 French artist Invader recently installed some of his iconic mosaic artwrosk at ESA establishments all over Europe and even on the International Space Station.The latest invasion took place at European Space Operation Centre in Darmstadt, Germany with the brilliant Pacman solar system. 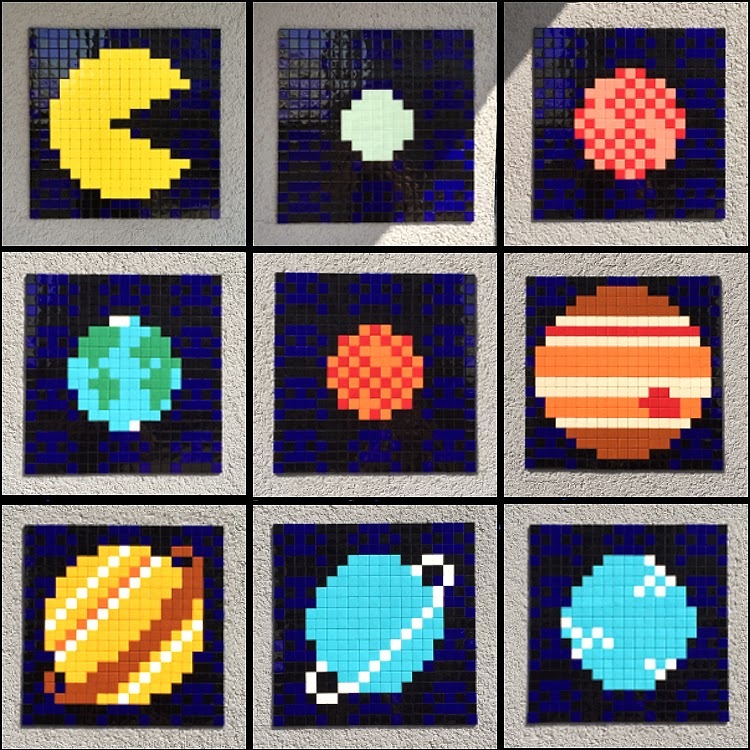 series.The European Space Operations Centre ensures the smooth working of spacecraft in orbit.